It began in 1893 when Edsko Hekman ventured from the Netherlands to Grand Rapids, Michigan hoping to find his life’s work as a furniture maker. Edsko’s enchantment with furniture, crafted in the old-world traditions, would later blossom in his three sons John, Jelle and Henry. They would fulfill their father’s dream and open the doors of the Hekman Furniture Company in 1922. In 1993, Hekman acquired Woodmark Furniture, an upholstery company founded by Elliot Wood whose discriminating standards were a perfect match to Hekman’s long tradition of excellence. The company now enjoyed a position of strength in its ability to offer its customer superior case goods and the finest in upholstery. Now, almost a century old, Hekman is widely recognized as one of America’s premier furniture suppliers. 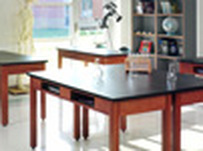 Hekman Contract provides a comprehensive line of Higher ED room furniture, tables and seating. Hekman Contract is ideally suited to meet the rigorous needs of the university marketplace with a collection of case goods and upholstered furnishings, backed by over 90 years of design and manufacturing expertise. Groupe Lacasse offers a comprehensive line of reception, learning stations and computer labs. 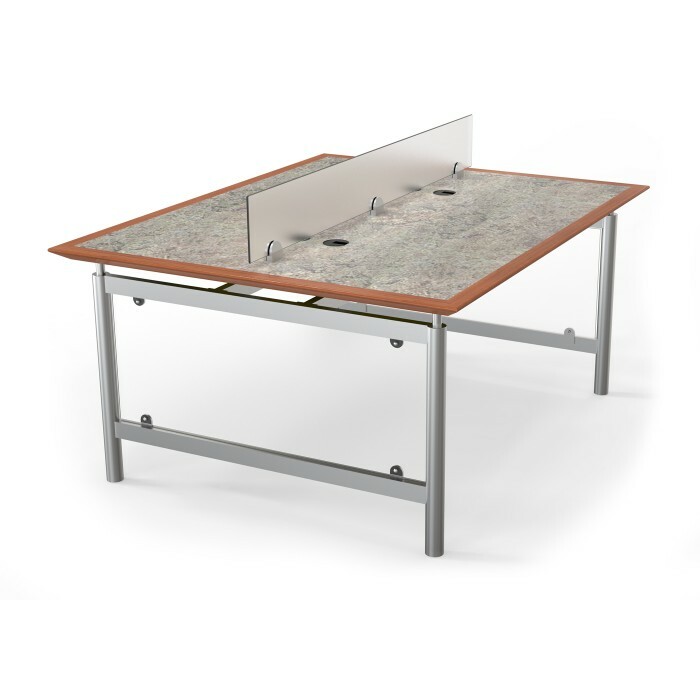 From the reception area to interactive learning stations and computer labs, Lacasse offers a complete range of products covering the full needs of teaching establishments. All components are designed to meet your requirements in terms of ergonomics, flexibility and the integration of new technologies. 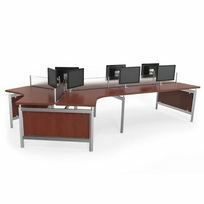 JSI-Community offers a complete line of wood desks, seating and storage. Their Stockton Collection is functional and built to last. Available in a range of sizes with powdercoat, chemsurf, epoxy resin, and laminate tops. Additional options include compartments, drawers and boots. Wood species: oak and maple in 27 finishes. 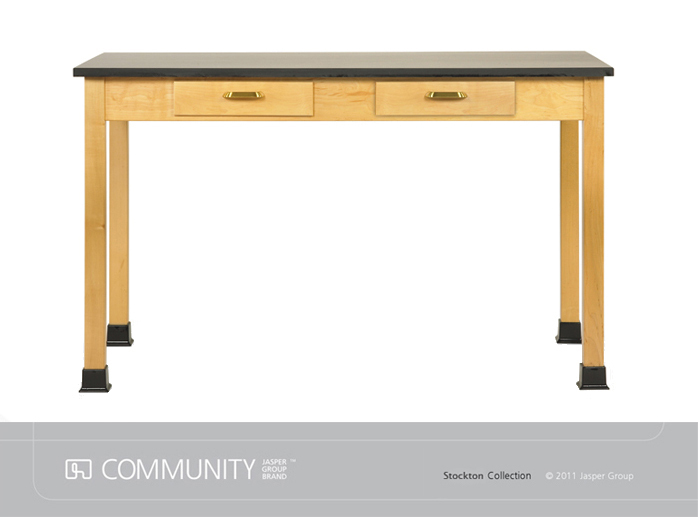 Community offers a complete line of wood desks, seating and storage. Their Stockton Collection is functional and built to last. Available in a range of sizes with powdercoat, chemsurf, epoxy resin, and laminate tops. 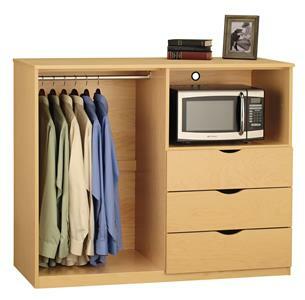 Additional options include compartments, drawers and boots. Wood species: oak and maple in 27 finishes. In today’s educational, environment, you want every investment to provide returns for years and truly make a difference in learning. SmartLink by HON seating solutions are designed to perfectly accommodate each individual, with versatility built in to work in virtually any setting. From the classroom to the lab, everyone is supported by the intelligent one piece design of SmartLink seating, which offers greater strength, durability, and support. And to maximize your return on investment even more, the HON Full Lifetime Warranty covers the entire SmartLink seating family. Contemporary and well-designed, the Versailles Collection by Liat offers an assortment of study, children’s and computer tables, as well as modular desking systems. A variety of work surface options with stable hardwood edges, metal bases and durable powder coat finishes provide any space with long-lasting furniture.